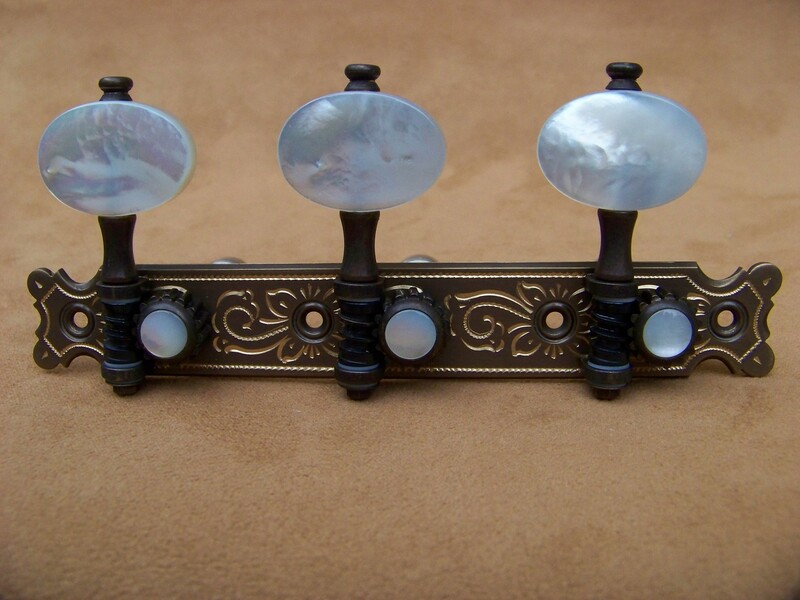 These tuners were designed by luthier Irving Sloane and the manufacturing is now done by Waverly. The only place I know to purchase these in the US is through the Stewart McDonald link given. I know some great builders like Greg Byers that use these regularly and I fit some on a guitar as a part of a restoration job. I am thoroughly impressed by the quality. At around $300, They are the same price point as the Gilbert tuning machines and deliver a bit more traditional of a look. In addition to being an instrument enthusiast and hobby guitar player, Sheller worked as mechanical engineer for many years, and founded his own company in 1981. They built gear wheels, precision mechanics, and designed complete gear units. The starting point and inspiration for the development of his tuning machines were the old Baker and Landstorfer tuners. Rubner is basically the German equivalent of Gotoh. What I like most about Rubner tuning machines is the quality of the plate design. I haven't used them on one of my own guitars, but I did once repair a guitar that had a set installed. That particular set seemed to have a roller that was slightly misaligned with the guitar's tuner holes because one of the Der Jung machines I had around fit easily into the roller holes on the headstock. Other than that one bad experience, I was impressed with the look and craftsmanship. I will probably give them another try one day. 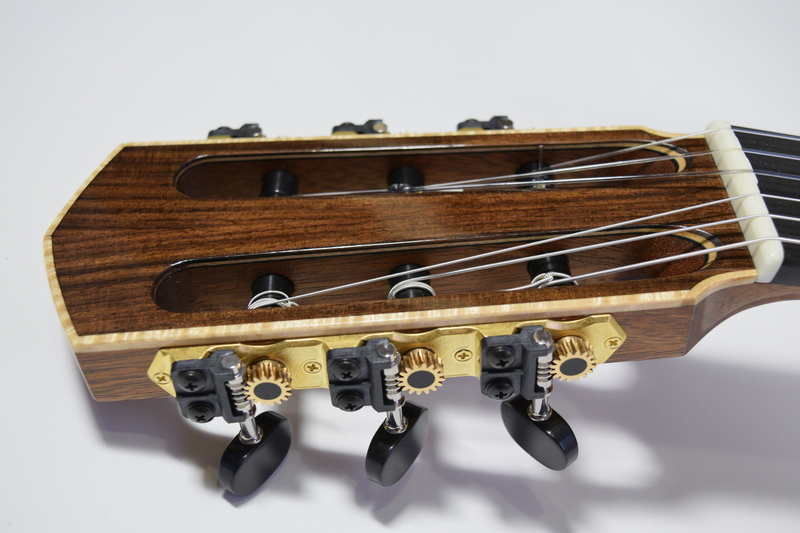 The family business of creating precision tuning machines started with David Rodgers, who retired from being a machine tool designer to pursue the craft of better tuning guitars. His business is now carried forward by his son, Rob and they continue to create some of the most sought after tuning machines in the business, and have long become a household name amoung classical guitar makers and players. I have had the great opportunity to use these tuners on some restoration projects and can definitely attest to their reliability. Gotoh is a Japanese company that started building tuning machines in the 1960's. While many of the handmade classical guitar tuners are going to start at a $300 price point, Gotoh's premium line of machines are a bit more affordable and they also offer a machine set that retails in $80 price range. The last time I used Gotoh's was on Guitar No. 3. In addition to innovating a new way to look at the traditional guitar design, John Gilbert used his skills as a machinist to create his own line of tuning machines. In short, his design takes away some mechanical complexity from the traditional design and creates a stronger, smoother and more serviceable tuning machine set. The tuner machine business is now operated by his son in law, Greg. I finally had a request to use a pair of these tuners on a recent guitar - No. 36. After using Schaller Tuners for a little over a year I started using these Der Jung Machines. I was selling my guitars for a price at that time that certainly didn't warrant a machine set that was at or over $100, and Der Jung tuners work very well compared to other sets in their price range. I ended up doing a bulk order of sets from the factory in China that have bearings on the end of the aluminum string rollers and I still use them today. This is a quick portal page that I made in response to the very scattered and unrepresentative results arising from a classical guitar tuner search engine query. It could turn into a store front one day, but for right now it's just an overview of the various quality machines available and hopefully this list will grow to encompass the most fair representation. 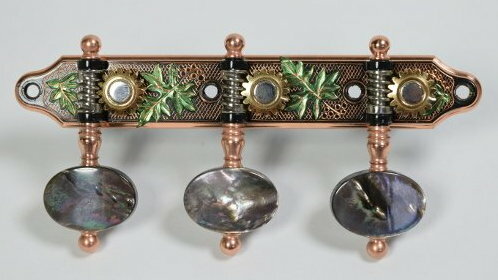 I have no experience wtih Baljak tuners, but I am including this link and should you follow it to their website. I think you will find their style to be in a class by itself. Nicolo Alessi combines a degree in classical guitar with 30 years of experience in industrial design to create one of the most competitve classical guitar tuners on the market. They have some of the finest engravings of any machines available. I tried to start a custom order with him in 2014 to create the machines for the maple guitar - Guitar No. 30 - Unfortunately, communication proved to be very difficult. I build precision classical guitars that deserve all the hard work and dedication given by the best guitarists everyday.